Your procedures need to ensure all the rights of individuals include how you delete personal data or provide data electronically in a commonly used format. The rights individuals under the GDPR are mostly the same as those under the DPA. Does your current procedures cover how you would react if someone asks to have their personal data deleted, how do you locate and delete the data? Who makes the decisions about deletion? Vitamins and minerals – I supplement my diet with vitamins and minerals. I know there are scientific studies which say that if you eat a balanced diet you do not need them. The challenge is that I cannot be sure the food I eat has been grown in soil which has all the nutrients I need. There is a strong possibility my balanced diet will be lacking in something. So I take a multi vitamin/mineral supplement every day to act as a back-up to the food I eat. At the same time I take a 1000 milligram tablet of Vitamin C. Vitamin C is a water soluble vitamin which the body does not store and cannot make. I have to consume it. It is essential for healing wounds, it is also an antioxidant, supporting my immune system, and it forms part of the absorption of iron facilitation within my body. I also take selenium because, like Vitamin C, it is essential for my body and my body does not make it. There is a lot of scepticism about the benefits of taking selenium only the information I read stated that there was not sufficient selenium in soil these days and being a non-meat eater I would have less in my food. So I take tablets to supplement. I take various other supplements depending on the changes of my state of health. I am at the time of writing this blog about #cancer reading a marvellous book Niacin The Real Story, Abram Hoffer PH.D.,Andrew W Saul PH.D, Harold D. Foster PH.D. I am finding it a fascinating read as niacin is vitamin B3 and this means it is also a soluble vitamin which is not stored in the body. The book explains the many ailments that taking niacin can remedy. 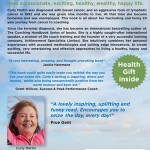 Life Coach, Business Coach, or any other niche coach or person practising coaching. You will already be aware of the need to register with the information commissioner Office. All the documents you hold electronic or paper based containing personal data will need to have details on where it came from and with whom you share it. Making sure that you have these details in place will help you to comply with the GDPR’s accountability principles. One of these principles requires organisations (this includes life and business coaches who hold information) to be able to show how they comply with data protection by having effective policies and procedures in place. If you share information and if you have inaccurate personal data which you have shared, it is your responsibility to make sure you and the person/company which you shared the information have correct records. Imagine you are working as a business coach and have sold a GDPR programme of coaching (as I suggested in the first blog on this topic) you may need to think about how to organise an information audit, across the companies you work within, or even an audit within particular business areas. Again, as I stated previously, this is a great business opportunity for coaching where you can design a GDPR programme specifically for the companies you sell your coaching into, by combining your knowledge of both, to produce a perfect business opportunity for your business coaching company. Over the next few weeks I will be posting some interesting and important details about the General Data Protection Regulation (GDPR) which is expected to come into force around the middle of 2018 and I want coaches to be prepared well in advance. I don’t think there are many of the changes which will affect the micro coach business although there may be some which affect business coaches. There could be coaching opportunities for the business coach in the form of coaching companies and organisations in readiness for the GDPR. I will be looking at some of the changes and how you can prepare yourself, your business and if you are a business coach, how to seize the opportunity. So for today I am simply looking at awareness. I am assuming that if you are a life coach or business coach you have already registered with the ICO (Information commissioner’s office). I know all the life and business coaches who trained with me on the Achievement Specialist’s Life coaching diploma will be aware of the requirements and will have registered within the first couple of weeks of attending the workshop part of the coaching diploma course as I discuss the importance of registering, the how to register and the cost. Fledgling life coaches are then encouraged to put a date in their calendars to do this. However, if you are reading this and did not train with me then there is a good chance you do not know about your responsibilities or you have forgotten about it, or your training provider did not encourage you to take action (a life coach creed – taking action). Whilst running the Life Coaching Diploma course last weekend sleep deprivation was suffered by a third of the attendees. Sleep is important for many reasons with rejuvenation and concentration being part of the long list. If you are not sleeping well this affects all other areas in your life. There are many sites and blogs about sleeping which i recommend you look at if you are suffering. Here is my take on the subject. Prepare for sleep. This means treat sleeping as the second most important thing in a day. The first being awake. If I have not slept well and awake early, rather than lying in bed frustrated about the fact that I have not slept, I get up and get going, knowing that the following night (or the one after) I will sleep because I am tired. 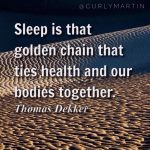 There are lots of really good blogs about healthy sleeping from experts on the topic – I have shared some of the things that have worked for me. Good luck. 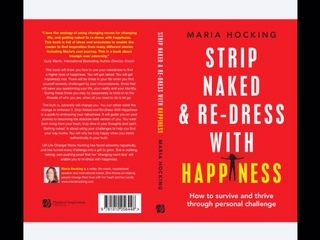 I am delighted to share with you a new book written by Maria Hocking who trained as a Life Coach with me many years ago and thankfully still keeps in touch and shares her successes. I wish Maria huge success with her new book. Recently my husband bought a music mixing box from the website of a large UK company. The box did not perform as he was led to believe and so he decided to return it. Here is where it gets interesting, on their website T&C’s (and their employees) were quoting the old 7 day return legislation. Coaches beware the law changed and came into force on 13th June 2014, whereby cancellation rights (distance and off-premises contracts) was extended to 14 calendar days. As a large proportion of #life-coaching is sold over the phone or via websites it is important for you to work within the law. I explain this legislation (and other relevant legal requirements) during the workshop part of our level 7 #life #Coaching diploma #course and I realised that #coaches trained before that date may not be aware of the legal changes. If a large company is making this serious error, it is quite possible that some #life #coaches are doing the same. #Life-Coaching for Christmas and The New Year – Three Things Can Change Everything. With Christmas only around the corner and the New Year right behind it, now is a great time to do some self #coaching. Look at the time in front of you and search for a specific moment over the next 10 day just for you. The time can be split over a few days or all together in one larger slot. Find a quiet space where you will not be interrupted. If you are thinking wow that will be impossible, be #coaching creative. 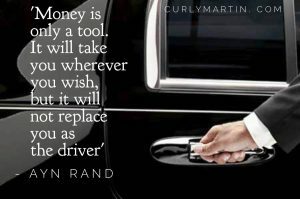 Will you be in the car on your own at any time? If yes, add a little extra time and pull into a car park as this will be fine. #LifeCoaching can be done anywhere especially when you are applying #coaching on yourself for yourself. You just need to find a time and a space for it. I am assuming you have found the space and the time, here is what you do. 1. Reflect on the year just past and ask yourself, what went well, what could have been better? 3. Now plan how you are going to do this awesome thing. What, who and how can help you to achieve it? #Life-coaching is a very powerful tool for change and it can be done by one of my expertly trained #life-coaches (who you could hire to ensure you achieve this awesome thing) or you can #lifecoach yourself. 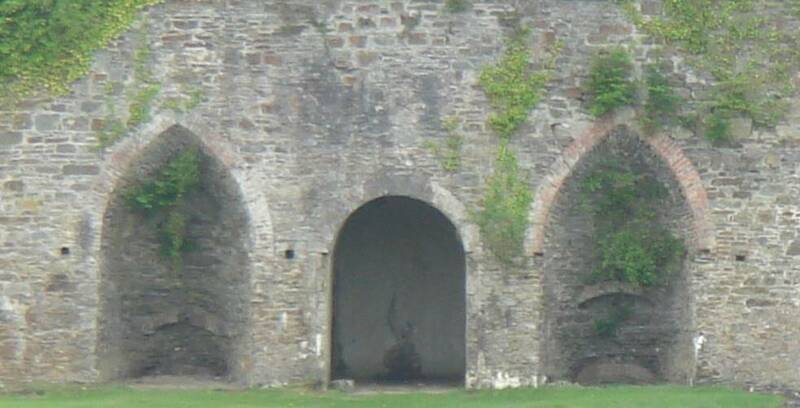 Make sure you take the arch with the awesome future not the arch of the brick wall to nowhere. Whichever arch you take, I want to wish you huge #success, robust #health and infectious #happiness for 2017. In 1992 I was told I had nine months left to live. 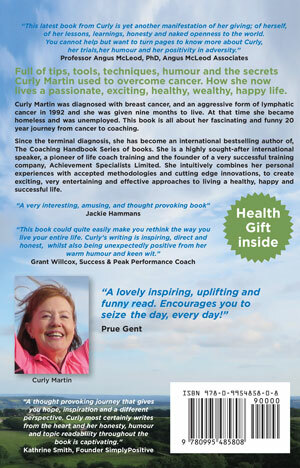 Since my terminal diagnosis of breast cancer and an aggressive form of lymphatic cancer, I am now an international bestselling author, professional speaker and I have built a successful coaching business, I am married and living a happy and healthy life. None of this would have happened had I not been diagnosed with cancer. I am not saying this to impress you; I am saying this to impress upon you, that cancer can be the most powerful catalyst of change. Throughout this book I will be telling you my story at each stage of my journey. What happened, how I handled it, the outcome (if applicable, or if it adds more information for you), what I was offered in the way of medical support, what I did, what extra things happened and any other titbits to inform and amuse you because as you will read here in the book, I believe humour is a great healer.